Skin care is important to the health of the body, but it is just one part in an individual’s overall wellness. Nutrition and fitness are also integral parts of total wellness, and many spas are looking to incorporate these wellness segments into their offerings. Incorporating fitness into a spa may intimidate some, but it is easier than you think. You do not need special training, a bunch of money or even extra space. If you have those things—great, but you can start with a few strategic alliances. This article will discuss your spa’s fitness options depending on the resources you have available and your immediate plan. There are a few ways of incorporating fitness into your business without a ton of effort or money. One is to partner with your local running store or active wear store. They will have opportunities and events at their store where you can network and socialize with like-minded people and potential clients. This partnership does two things: it gets you out and networking and gets you in shape. It is a win-win situation. I recently attended the International Spa Association (ISPA) 2015 Conference & Expo in Las Vegas, where I heard about another great way to bring fitness into your beauty business both for you and your clients. I sat in on a lecture given by Yummie clothing line founder Heather Thomson and fitness consultant Remembrance Staber. Thomson spoke about how she brings fitness into the workplace for her and her team. One of the interesting things they do to get everyone in her business excited about fitness is attaching fitness to a cause or a charity that one of her team members supports. The idea of attaching fitness to an act of service is great in so many ways. It motivates you and your team to work toward something greater than your goals, while getting healthy and in shape. You can start with something as simple as a local 5K, raising money for a local cause or something larger like one of the nationally run programs. If you don’t have room in your spa, but want to incorporate more fitness, look to establish a strategic alliance. This mutually beneficial partnership establishes a connection between you and a non-competing business in your area. In this case, we are talking about you and a personal trainer/yoga instructor. The two of you have complementary businesses with the same kinds of clients—people who care about the way they look and feel. Together, you are the perfect duo for a highly successful strategic alliance. You may be afraid to partner or form a strategic alliance with a personal trainer, with the assumption all of their clients are into big muscles and protein shakes. As a personal trainer and fitness studio owner, I can tell you 95% of my clients see a skin care professional on a bi-monthly or monthly basis. People who are willing to spend time and money on creating a better body, do not want to skimp on their skin and eyebrows. They want to feel beautiful from head to toe. This is a perfect model for anyone who does not have the space to have a personal training or yoga inside of their business. If you have the space to hold fitness or yoga classes inside your spa, it is a great idea to have a local personal trainer or yoga instructor come to your location once a week and teach a special class for you and your staff. Depending on the size of your space, you can also invite some of your clients to participate in the class. This is a great way to build client loyalty and spread the message of total body wellness to your staff and your clients. I know many personal trainers and yoga instructors who would love to do this and most would probably do the first few sessions at no charge to you or your staff. This is a great way to build the strategic relationship discussed earlier. It will bring a new source of revenue to your spa. Fitness service options that are easy to start in a spa include yoga, body movement and Zumba, as described below. The addition of one or more of these fitness services is a great way for your spa to get started in the world of fitness. Yoga. I have been in yoga sessions with only one or two other people, so do not think you have to have a class full of 20 people at the beginning. The class size will expand as the word spreads and as your clients get used to the new services available at your spa. Stretching and Body Movement. These classes can be short in duration and highly beneficial to your clients. The simple nature of the class design will make this a perfect class for beginners and a great way to introduce your current clients to the fitness services you offer. Zumba. This style of fitness class, a registered trademark of Zumba Fitness LLC, is for the spa with a larger open space and clients who like to move. Zumba is a higher intensity dance style workout, requiring the ability to move around and be highly active. You will also want to keep in mind this will be the loudest of the mentioned fitness options and the one requiring the most space and time. If you want to bring in fitness classes or partner with a fitness professional and are unsure of where to find this person, let me ask you a question, “How did you find your personal trainer?” Nine times out of 10, it was from a referral given to you by someone you trust—the strategic alliance in action. The first step in any successfull strategic alliance is to find other professionals you know, like and trust. They must be people you would and have gone to for your health and wellness needs. You cannot just pick somebody off the Internet. Make sure you worked out with the trainer more than once and you feel 100% comfortable not only sending your clients to the trainer, but also have a working relationship with him/her. Each of you must have a strong understanding of what is excpected of each other. A successful strategic alliance works like the spokes of a bicycle. The wheel is the client’s wellness and the spokes hold it all together. You two are spokes. It is a high-level referral system adding additional clientele to your business that may not have ever heard about you without the alliance. You refer your clients to the personal trainer and he/she does the same for you. When the two of you are working together, you have successfully created a new marketing machine for your businesses. As you can see, there are several ways of bringing fitness into your beauty biz practice without actually having to knock down walls or hire new staff. It’s all about the proper strategic alliances. Once you start to incorporating these types of relationships into your business, you will notice how much more aware of being personally fit you become. Jay Nixon has been a certified personal trainer and certified nutrition specialist for over 21 years. 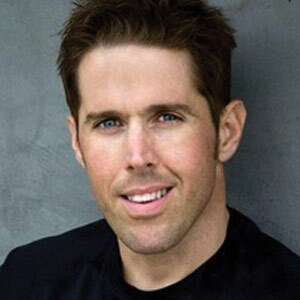 He is the owner of Thrive Fitness Studio in Palm Springs, California, and creator of The Body Fat Detox System. For over two decades, Nixon has helped people achieve total body transformation through personal training and nutritional counseling. Nixon is the creator of the Thrive 6-Week Body Transformation Challenge and proprietor of the ‘Elite Detox’ supplement. Connect with him directly at www.ThriveFitnessStudio.com.